What’s the deal with gram flour anyway? It is one of the commonest things found in any home. And we use it to prepare some common recs.ipe So, what’s the big deal? 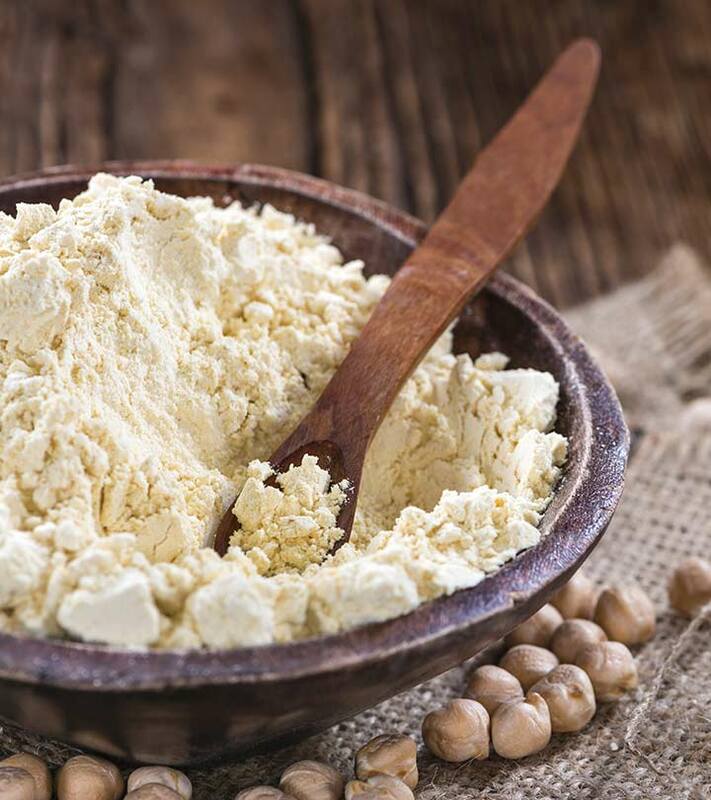 Well – that’s what we will speak about the incredible benefits of gram flour in this post. To know more, keep reading. What Are The Facts About Gram Flour I Need To Know? Why Is Gram Flour Healthy? What Are The Benefits Of Gram Flour For Skin? What Are The Health Benefits Of Gram Flour? 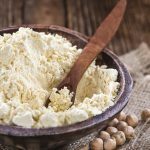 How Does Gram Flour Benefit Your Hair? What Is The Nutritional Profile Of Gram Flour? How To Buy And Use Gram Flour? What Are The Side Effects Of Gram Flour? Simply put, this is a pulse flour made from ground chickpea (also known as Bengal gram or garbanzo beans). A staple diet in the cuisine from the Indian subcontinent, this flour can be made either from raw or roasted chickpeas. The raw variety is slightly bitter, while the roasted variety is more flavorful. Gram flour, also known as besan flour (channa ka aata in Hindi, sanagapindi in Telugu, kadalai maav in Tamil, cikkam maav in Malayalam, kadale hittu in Kannada, kaḍala piṭi in Sinhala and Unga Wa Gramu in Swahili), is popularly used as a facial exfoliant in India. The flour can also be used in the place of eggs in vegan cooking – all you need to do is mix it with an equal amount of water. The flour is rich in carbohydrates and protein and contains no gluten. But hold on – even before we get to the benefits of Gram flour, how about amusing ourselves with a few super cool facts? What Are The Facts About Chickpea I Need To Know? 90 million tons of chickpeas are produced every year, with India being the greatest producer and exporter of the peas in the world. The green parts of the plant and the immature pods are extensively used in Asian cuisine. In 18th century Europe, roasted chickpeas were used as a substitute for coffee. The discarded husks and the green and dry stems of chickpea are used as animal fodder. The leaves of chickpea are used in the manufacturing of blue dyes. Chickpea is an annual plant – it completes its life cycle in one year. The stems, leaves, and pods of chickpeas secrete a fluid that contains oxalic and malic acids – these possess aphrodisiac properties. That’s about the facts. But why discuss the facts? What is so special about this flour? What we need to understand first is that the nutrition in gram flour is the same as that of in chickpeas. Because the flour is made from just one ingredient – ground chickpeas. One major benefit of this flour is that you can enjoy a higher dose of fiber and protein with no gluten. As it is a great source of fiber, the flour can ease your digestive system and treat any related disorders. It also stabilizes your blood sugar levels – thereby aiding diabetes treatment. The flour works great for heart health and can also help with weight loss. In fact, according to one Indian study, gram flour is rich in linoleic and oleic acids, which are nutritionally important unsaturated fatty acids. It is also a great source of other vitamins like riboflavin, niacin, folate, and beta-carotene. The flour might also contain certain antinutritional factors that can be eliminated with the cooking process. All in all, the flour is made from an important pulse crop with diverse benefits (1). All of what we spoke about, all of these benefits, are because of the nutrients present in gram flour. Which is what we will look at now. So that was about chickpea flour nutrition facts. And now, we head to the real deal. Using besan or gram flour for the face and the skin is an age-old trick that we still use. Check out here what are the benefits of applying besan on face. The zinc in gram flour can fight infections that cause acne. And the fiber stabilizes blood sugar levels. 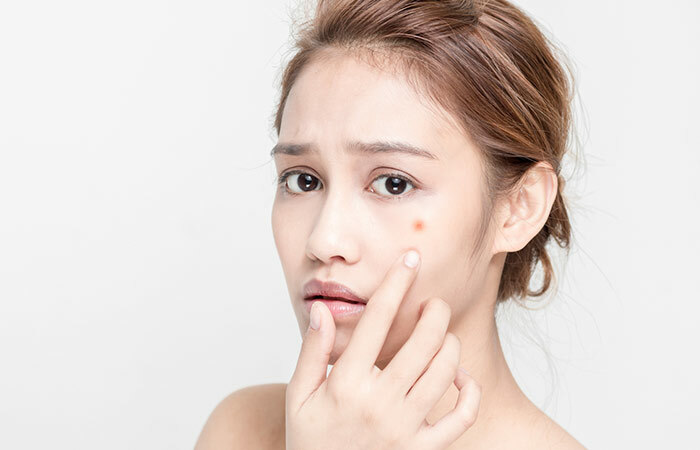 Imbalanced blood sugar levels can stress your hormones, causing breakouts or pimples. Gram flour can prevent that. You can create a brilliant face pack with gram flour for acne. Combine equal parts of gram flour and turmeric. To this, add a teaspoon each of lemon juice and raw honey. Mix in a bowl. Apply this mask to your damp and makeup-free face and neck and leave it on for 10 minutes. Rinse with warm water. Your skin might have a slight orange tint until your next wash. Wondering how to use besan for tan removal? Well, mix 4 teaspoons of besan with 1 teaspoon of lemon juice and yogurt. Add a pinch of salt and mix to form a smooth paste. Apply the mask all over your face and neck and wait until it dries. Rinse with cool water. You can repeat this procedure daily before you take a bath. You can also use gram flour as a body scrub and exfoliate your dead skin. All you have to do is mix 3 teaspoons of the flour with 1 teaspoon of ground oats and 2 teaspoons of corn flour. You can add a little raw milk too. Mix thoroughly. Apply this mask to your body and scrub. The scrub works very well and removes dead skin cells all over your body. It also removes excess sebum and dirt. You can use this mask in your bath. Mix equal parts of besan and yogurt or raw milk. Apply it to your face. Leave it on and wash your face after 20 minutes. This process cleanses your skin and reduces the oiliness. Using besan for facial hair removal is very effective. Mix equal parts of besan and fenugreek powder. Prepare a paste. Apply the mask over your facial hair and wait for it to dry. Post this, you can wash it off. Heading to a party and miss that glow on your face? Besan can offer instant fairness. So, how to use gram flour for skin whitening? All you need to do is mix 4 teaspoons of gram flour with 1 teaspoon of orange peel (ground) and ½ teaspoon of malai. Apply the mask all over your face and neck. Leave it on for 15 minutes, post which you can rinse with cool water. This remedy also works great for dark arms and neck. You can repeat teh procedure thrice a week for better results. For Acne Scars – Mix besan, a pinch of turmeric powder and 2 table spoons of fresh milk to create a smooth paste and apply evenly on the face and neck area. After 20-25 minutes, wash off with lukewarm water to achieve glowing skin. For Dry, Flaky Skin – Mix 2-3 drops of fresh lemon juice with 1 tablespoon besan, 1 teaspoon milk cream or olive oil and ½ teaspoon honey to form a paste. Apply it all over the face and rinse it thoroughly with water when it dries naturally. For Oily Skin – Beat one egg white and add 2 tablespoons of besan to make it into a mask. Apply this mask for 15 minutes and wash it off with cold water. For Blemish-free Skin – You just need 50 grams of lentils, 10 grams of fenugreek seeds, and 2-3 pieces of turmeric. Grind all the ingredients into a powder and store it in a container. Use this powder in a little quantity with some milk cream and wash the face regularly with it instead of soap. Gram flour, or chickpea flour is a highly nutritious food which provides us with lots of health benefits. Learn here what they are in detail. According to a report by the University of Toronto, one serving of chickpeas a day can reduce bad cholesterol (2). And the flour, as we saw, is rich in fiber (both soluble and insoluble) that can contribute to cholesterol reduction. In one Australian study, a diet containing gram flour lowered more bad cholesterol than a diet that contained wheat (3). Another Australian study states the gram flour is rich in fiber and polyunsaturated fatty acids. These could also help them to lower cholesterol levels (4). And a Chinese study links the consumption of gram flour to beneficial effects on serum cholesterol levels (5). Gram flour consumption not only lowers the levels of bad cholesterol, but increases good cholesterol as well (6). Studies suggest that consuming legumes alone (chickpeas, especially) can improve the health of diabetics. Simply including them in your diet prevents diabetes as well as other associated diseases like heart ailments. More importantly, legumes were the first class of foods that were recognized as having low GI values (7). And according to the American Diabetes Association, gram flour can be a diabetic superfood. Harvard Medical School reports that chickpeas have a GI value of 10, which is a significantly low number. And by the way, always opt for dried chickpeas and not canned ones. Because canned chickpeas are preserved in brine (water saturated with salt), and this can increase its GI to 38. And since gram flour contains fiber, we have another advantage – fiber slows down the absorption of blood sugar and can reduce the risk of type 2 diabetes. And this very fiber also keeps your appetite in control – helping prevent diabetes-related obesity. As per another study published in the American Journal of Clinical Nutrition, consuming gram flour can lower postprandial (the period after lunch or dinner) blood glucose levels at 30 minutes and 60 minutes after eating. It also lowers insulin levels in the blood 120 minutes after consumption. According to a report by the North Dakota State University, a diet rich in legumes could be a natural and cost-effective solution to prevent and even treat type 2 diabetes (8). And, without side effects. Given that gram flour is rich in vitamins, minerals, and fiber, including it in your diet can promote heart health. 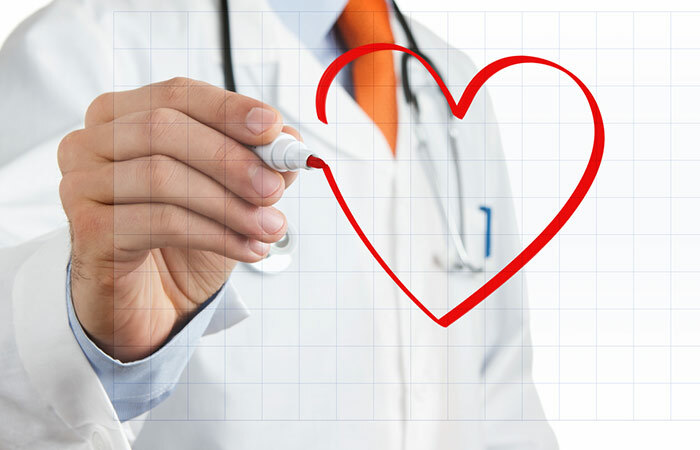 Legumes have been found to lower the risk of heart disease. Three tablespoons of gram flour can give you the same amount of potassium as a banana (9). And potassium is known to lower blood pressure – thereby protecting the heart as well. As per a report by the University of Cincinnati, legumes like that of gram flour are loaded with nutrients that can help prevent heart disease (10). You can consume several servings of chickpeas in a week as they are nutrient-dense – they contain a lot of nutrients in relation to their calories. Gram flour also contains compounds called saponins, which can lower blood cholesterol levels (11). A 2010 study reveals the efficacy of gram flour in inducing weight loss. The study, conducted on 42 participants for 12 weeks, showed that the satiation levels post gram flour consumption had increased. This ability of gram flour to aid weight loss can be attributed to their fiber and protein – two nutrients that can help you lose pounds. Another study published in the 2011 issue of Nutrition Journal stated that a high-protein diet could be more effective than a high-carb diet when it comes to weight loss. You can use gram flour instead of meat to boost your fiber intake – doing this also helps reduce your intake of saturated fats, which are harmful. You can even add gram flour to make pancakes. Protein is also found to have a high thermic effect – meaning your body burns calories just by breaking down protein into amino acids. Protein’s thermic effect is about 30%, which simply means that you will burn 30% of your calories during digestion. If you are consuming the beans instead of the flour, keep in mind the portion control. As a cup of the cooked peas contains about 270 calories. Gram flour can not only induce weight loss but also prevent the weight from coming back (12). Gram flour is naturally gluten-free, and that’s a boon if you are allergic to gluten. And as it has a subtle flavor, it can be a great addition to almost any savory dishes or desserts (13). In fact, it is so healthy that the flour is used as a staple outside India too – especially in countries of the Middle East. Another reason this flour works great for preparing baking goods is its binding property – it absorbs liquids pretty quickly, and its binding property gives great structure to baked items (14). And since it’s a heavy flour, you can use it in the place of eggs as well (good news for vegans). So, yes, if you are gluten intolerant – no problem! You still can have baked foods. Even baking and cooking foods from scratch can be one easy way to avoid gluten in your diet (15). Also, we have a tip here – gram flour slightly tastes like beans. Hence, if you are using more than one-fourth cup in a recipe, you can add a little more sweetener to mask its taste. We know anemia is the result of iron deficiency. And this is where gram flour comes to the rescue. Gram flour contains good amounts of iron. Scale this to the number of cups of the flour you are adding to your recipe, and you will know how much of iron you are getting. The iron from gram flour can be especially helpful for vegetarians who cannot get their daily dose of iron from meat. Apart from preventing anemia, iron also plays a role in the production of red blood cells and helps them carry blood to all the cells in your body. The mineral also enhances metabolism and aids in energy production. According to a Mexican study, gram flour can offer protection against colon cancer. Gram flour achieves this by decreasing the oxidation of DNA and proteins and inhibiting the functioning of beta-catenin, an important oncogenic (causing tumors) protein in colon cancer (16). According to the American Institute for Cancer Research, gram flour also contains saponins and lignans that help prevent colon cancer (17). They also contain resistant starch that protects the colon cells – resistant starch is the starch that goes undigested in the small intestine, and is hence used by the healthy colon bacteria to protect the colon. Gram flour also contains antioxidants like flavonoids, triterpenoids, protease inhibitors, sterols, and inositol. And as per a Turkish study, incorporating legumes into your diet can have several beneficial physiological effects, one of them being the prevention of colon cancer (18). Studies have also shown that countries with a higher consumption of legumes had fewer incidences of colorectal cancer. Legume seeds could also be an alternative therapy against various cancers (including that of the colon). Another Mexican study had successfully proven the anticancer activity of legumes in the early stages of the disease (19). A recent Portuguese study states that consumption of gram flour can inhibit MMP-9 gelatinase protein, which is responsible for the progression of colorectal cancer in humans (20). Higher intake of legumes can reduce the risk of colorectal adenoma, which is a type of tumor formed in the colon tissue (21). The required daily amount of fiber is 25 grams, and gram flour, being rich in fiber, can help us meet this requirement. Fiber, as we have seen, reduces the risk of colon cancer (22). Legumes like chickpeas were also found to improve the functioning of blood vessels. The fiber in gram flour aids digestion and regulates your bowel movements. It also helps treat constipation. If you want to consume fiber in a snack form, simply roast chickpeas with maple syrup in the oven for about 20 minutes (23). The fiber in gram flour can also help prevent fatigue. How this happens is quite interesting. Fiber slows down digestion, and this makes sugar move much slowly from your digestive tract to the bloodstream. This means you are less likely to develop a sugar spike after eating. And this means you will not experience fatigue following a subsequent sugar crash. A cup of cooked chickpeas contains about 12.5 grams of fiber, which is half of the recommended daily intake. One good thing about gram flour is it is naturally low in sodium. And when you use gram flour in your diet, it can definitely prevent high blood pressure. As per reports, a healthy adult must not have more than 2,300 milligrams of sodium in a day. A study conducted on rats revealed that legumes could effectively block the increase in blood pressure that usually happens with age (24). 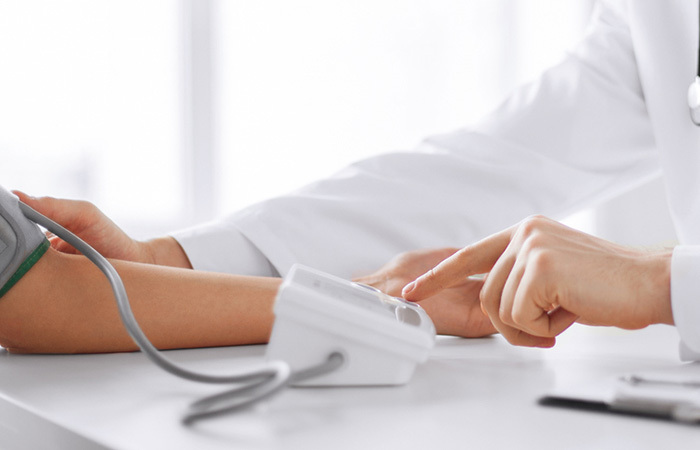 They can also reverse the changes that occur in the blood vessels due to high blood pressure. Gram flour was also found to improve the blood flow to the legs in individuals suffering from peripheral artery disease (a disease closely linked to coronary heart disease). They could also offer a non-pharmacological way of treating ailments linked to blood vessel dysfunction. According to a Canadian study, diets including gram flour can attenuate hypertension and improve the health of blood vessels (25). And another Swedish study stated that a diet rich in legumes could regulate blood pressure and reduce the related cardiometabolic risk in healthy individuals (26). More studies encourage the intake of legumes to achieve optimal blood pressure levels (27). As per a report published by the Physicians Committee for Responsible Medicine, gram flour contains a lot of calcium. In addition to that, they also contain magnesium, a mineral the body uses along with calcium to build strong bones (28). Other ways you can strengthen your bones is by regularly exercising and consuming adequate amounts of vitamin D (the vitamin controls your body’s use of calcium). And it is as important to reduce calcium loss too – this can be achieved by limiting salt consumption, getting your protein preferably from plant sources, and giving up smoking and alcohol. We already saw that gram flour contains magnesium. These legumes, and the flour made from them (obviously), stock your body with the mineral. According to a report by the Colorado Christian University, magnesium makes your brain cell receptors happy. It also relaxes the blood vessels, thereby allowing more blood flow to the brain (29). Gram flour also enables the brain cell receptors to speed up the transmission of messages (30). And it is important to note that stress levels can leach magnesium from the body. Which is why you need to keep your stress levels low. Don’t sweat the small stuff! Gram flour contains B vitamins and other phytonutrients that boost your brain health (31). They also keep the blood sugar levels stable by providing an even supply of glucose – and glucose, guess what, is the perfect brain fuel. As per a Pakistani study, besan (another name for gram flour) has anti-inflammatory properties and can hence lower inflammation (32). Besan also contains other nutrients like selenium, potassium, and vitamins A and B6, which can help combat inflammation (33). According to the National Institutes of Health, chickpeas are among the richest sources of vitamin B6, and this nutrient works great in supporting the immune system. Besan also contain vitamin A that strengthens the immune system. The legumes contain zinc as well, another nutrient that bolsters the immune system (34). 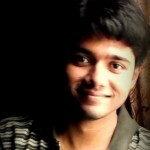 Using besan for hair can give you great results. You can try a few of these homemade hair masks for healthy hair. Thinking, how to apply besan on hair? Add some besan to a bowl. Add some water and mix until you get a smooth paste. Apply the paste to your damp hair. Let it stay for 10 minutes. Then, rinse with water. You can follow this procedure once in 2 to 3 days. The protein in besan can benefit your hair immensely. You can use the flour the same way as you used it to cleanse your hair. For long hair, you can also mix gram flour with almond powder, curd, and a teaspoon of olive oil. In case you have dry and damaged hair, add 2 capsules of vitamin E oil. Apply to your hair and rinse it with cold water after it dries. Repeat twice a week. Mix 6 tablespoons of besan with the required amount of water. Massage this mask into your hair and leave it on for 10 minutes. Rinse with cold water. You can take 2 tablespoons of besan and water as required. Mix with them 2 teaspoons of honey and 1 teaspoon of coconut oil. You can also add a few drops of essential oil if you want. Massage this shampoo to your damp hair while in the shower. Leave it on for a few minutes and then rinse with warm water. That’s about the benefits of besan. But you also need to know how to buy and use it, right? Here you can view the nutrition for gram flour including calories, carbs, fat, protein, cholesterol, and more. *Percentage daily value are based on a 2000 calorie diet. You can find gram flour (besan) in your nearest grocery store, often grouped together with other gluten-free flours. You can use the flour to prepare breads and other baked goods. You also can mix it with some wheat flour or use it all by itself for a gluten-free recipe. If you want to add a little extra crunch to your grilled steaks or pork chops, you can press with a little gram flour (after brushing with oil). If you want to thicken your soup, gram flour would be a great idea. Stir a little finely ground gram flour in the soup. It absorbs the liquids without clumping and adds a buttery flavor to the soup. The flour works fantastically well on vegetable fritters. It makes a great coating for deep-fried vegetable fritters. All you have to do is whisk it with some salt and enough water to make a thin batter. Dip in your veggies into this batter and fry until they turn golden. Any Gram Flour/Chickpeas Flour Recipes? Yes – we have two popular gram flour recipes below. Whisk the flour and water in a bowl until the mixture is smooth. Let it sit at room temperature for 2 to 6 hours. Preheat the oven to 450o F. Use the cooking spray on the inside of a metal pie pan. Skim the foam from the top of the gram flour-water mixture. Now, add the oil, Italian seasoning, and rosemary – and stir until combined. Pour this mixture into the metal pie pan and sprinkle black pepper and salt over the top. Bake in the preheated oven until the edges turn brown. It should take about 15 minutes. Remove the bread from the pan and cut it into wedges. Line a large sheet with parchment paper. In a bowl, mix together the chickpea flour and baking soda and salt. In another bowl mix all the other ingredients except for the chocolate chips and nuts. Ensure the coconut oil and honey are warm. Spoon onto a baking sheet and sprinkle a little brown sugar. Bake for about 12 minutes. Cool after baking. Well, that’s the super good part about gram flour. But this flour does have mild side effects. Even though the benefits of gram flour and uses are well known, its side effects can’t be overlooked. Read on to know what they are. Certain people might experience stomach cramps and intestinal gas after consuming chickpeas or the flour. If taken in excess, you might also experience diarrhea and abdominal pain. If you are sensitive to legumes, avoid gram flour. Excessive consumption of besan can also cause diarrhea. That was all about besan side effects. We are sure you have a few more questions. But we have them covered! How to make chickpea flour? It is pretty simple! Place the dried chickpeas into your high speed blender. Pulse several times until the chickpeas are broken down into a fine powder. If you feel it is still coarse, pulse until a flour begins to form. Finally sift and store in a container. Is eating gram flour good for piles? Yes. Gram flour contains protein and numerous micronutrients like fiber, iron, and B-vitamins. Fiber, especially, makes the stool smoother. This offers relief. Are garbanzo beans same as chickpeas? Is there a substitute for gram flour? It is readily available. It is economical. And it works wonders for your health. What more do you want! Tell us how this post on benefits of gram flour has helped you. Just comment in the box below.